Galaxy Glass and Mirror, Inc. Comment: I would like to get an estimate for sanding and sealing of a staircase. It is 7 steps, a landing, and then 7 more steps. Comment: Our home was built in 1985, we moved in it was 4 years old, we have been here 28 years, about 12 years ago my husband replaced part of our staircase do to a broken stair, and all the railing throughout the house. We want to have the staircase redone by a professional, and depending on cost all of the railing throughout our home. Comment: Screened in deck/gazebo needs screen replacement, new paneling/siding, and paint. Comment: single hung window moves up and down, but abruptly stops about 2 inches from complete closure. Comment: The attic stairs in my garage needs to be evaluated. I need to find out if it's a simple fix, or if more is needed. I had a inspection done, and it was listed as a needed repair. Comment: Replace Two garage doors with one garage door. Would require removing a column and maybe reinforcing beam above. A & R Home Services, Inc.
Schaumburg Carpenters are rated 4.75 out of 5 based on 999 reviews of 53 pros. 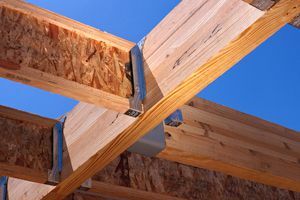 Not Looking for Carpenters Contractors in Schaumburg, IL?